The Moderator of the General Assembly has embarked on a visit to the Presbytery of England, beginning in the Channel Islands. Rt Rev Susan Brown is spending a total of nine days touring round churches, community projects, a zoo and a prison. She will also attend the induction of Rev Dr David Coulter, former Chaplain General to the army, at Guernsey St Andrew's in the Grange. After the Channel Islands Mrs Brown will go to Corby in Northamptonshire, which is the only place outside of Scotland or London to have two Kirk congregations and is known as 'Little Scotland'. The Presbytery visit will finish in Newcastle, where Mrs Brown will formally dedicate the community garden at St Andrew's Church of Scotland. 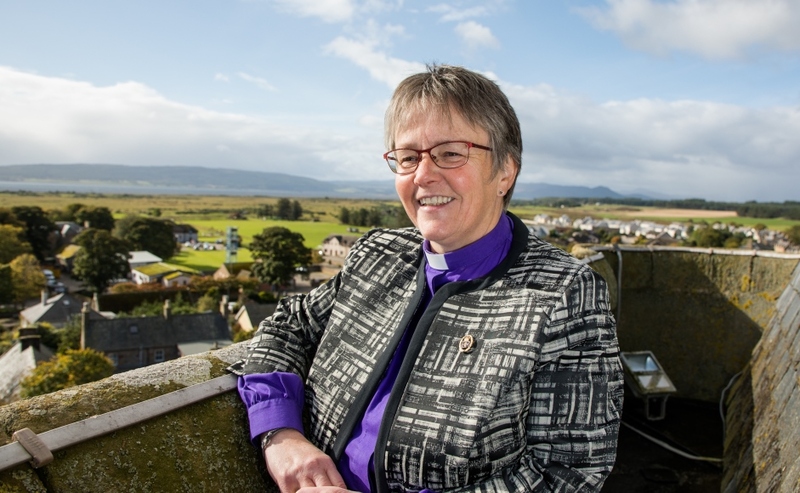 Rt Rev Susan Brown said: "I am looking forward so much to visiting our congregations in the Presbytery of England and to seeing the communities of which they are a part. "It seems especially important to remember our connectedness as a family right now when there is so much uncertainty about how the future will unfold. "All the congregations have long histories and it will be great to hear of them. Every bit as importantly, it will be great to catch up on their faith journey today and to hear of how the Gospel is lived and shared in their different contexts in 2019. "It will be good too, to join in worship and to meet people and I ask for God's blessing on each of the congregations as they follow Jesus' call, to love and serve him and his people."